New Hampshire Attorney General Joseph A. Foster and Manchester Police Chief David J. Mara announce additional information in an ongoing investigation of a fatal shooting incident in Manchester yesterday afternoon. On Sunday, November 24, 2013, the Manchester Police Department responded to 331 Lake Avenue for a report of shots fired, and found one deceased adult male outside the home suffering from what appears to be a gunshot wound. 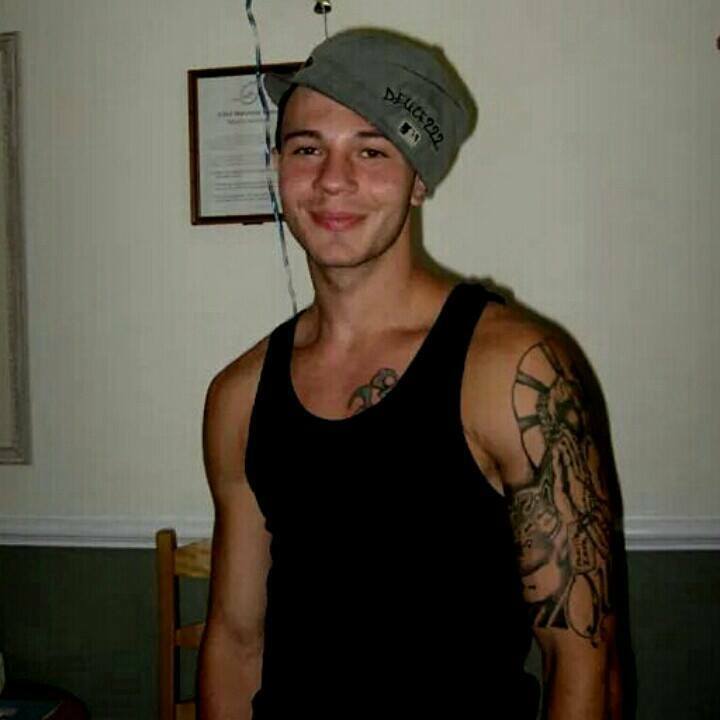 This male has been identified as Edgar “Eddie” Hoffens, age 22, of Manchester, New Hampshire. A second adult male in critical condition was nearby suffering from what also appeared to be a gunshot wound. That second adult male was transported to the Elliot Hospital where he died this morning. That individual has been identified as Charles Cable, age 20, of Manchester, New Hampshire. Autopsies on both Edgar Hoffens and Charles Cable are not expected to be complete until the end of the day tomorrow, Tuesday, November 26, 2013. The Office of the Attorney General and the Manchester Police Department have conducted an investigation into two shooting deaths that occurred in Manchester, New Hampshire on November 24, 2013. As a result of that investigation, New Hampshire Attorney General Joseph A. Foster has determined that David Hoffens (age 20) was justified in using deadly force when he shot Charles Cable (age 20) and that the shooting of Edgar Hoffens (age 22), which resulted from David’s gun discharging during a struggle between David and Cable, is not chargeable as a crime due to the circumstances present. The incident was first reported at approximately 3:51 PM on Sunday, November 24 2013. Jennifer Russell, a resident of 331 Lake Avenue in Manchester, placed a 911 call reporting that two men were outside of the building with guns. Within the first few seconds of the call, the dispatcher heard screaming. Soon thereafter, Ms. Russell told the dispatcher that her boyfriend, Edgar, had been shot. This entry was posted in Dead, Man, Multiple Shooting, New Hampshire on November 24, 2013 by usgunviolence. HINSDALE, N.H. – The office of the New Hampshire Attorney General Joseph A. Foster announced today that an autopsy confirmed Dustin Curtiss was killed by gunshot wounds to the torso and upper extremities. The press release, issued in conjunction with N.H. State Police Colonel Robert L. Quinn and Hinsdale Police Chief Todd Faulkner, stated the autopsy, which was conducted by the Massachusetts Office of the Chief Medical Examiner, was completed on Oct. 15. Dr. Kimberley Springer, of the chief medical examiner’s office, classified the manner of death as homicide, meaning that his death was caused by another person. No one has been arrested in connection with the incident and the investigation is ongoing. Curtiss, 26, of Hinsdale, was killed on Oct. 13 in what appeared to be a family dispute that turned violent. Curtiss was first transported to Brattleboro Memorial Hospital in Vermont by emergency personnel and then to the UMass Medical Center in Worcester, Massachusetts where he was pronounced dead. Investigators said shots were fired inside 68 High St. about 10:15 p.m. Sunday. They are calling the incident a family dispute that ended in homicide. This entry was posted in Dead, Domestic Violence, Man, New Hampshire on October 13, 2013 by usgunviolence. DOVER — Police say an hours-long standoff that included an exchange of gunfire between a man in an apartment and police has ended with the man dead. Police responded to a domestic disturbance call at the Fairfield Garden Apartments on Plaza Drive on Monday at about 7:25 p.m. They said a woman left the apartment and told them the man had at least one firearm. Shortly after that, police said the man came to the door of his apartment and fired multiple shots at police who were in the hallway. The officers returned fire; they were not hurt. The standoff ended at about 4 a.m. Tuesday when authorities said the man was dead. It wasn’t immediately known how he died or whether police had had any contact with him through the night. At about 7:25 p.m., Dover police received a report that a woman had been assaulted at building No. 1 of the apartment complex but had managed to escape her attacker, Dover Police Capt. Bill Breault said. About 10 minutes after they arrived, officers approached the apartment where the male assault suspect was located. Breault said the suspect, who was armed with at least one firearm, shot at the officers multiple times. He said the officers returned fire. None of the officers were injured in the exchange, but it was unknown whether the suspect was hit, the police captain said. After the exchange of gunfire, the suspect barricaded himself inside the apartment building. This entry was posted in Dead, Man, New Hampshire on October 1, 2013 by usgunviolence. A New Hampshire grandmother was shot and killed by state police Monday after leading troopers on a high-speed car chase, according to NBC affiliate WHDH in Boston. 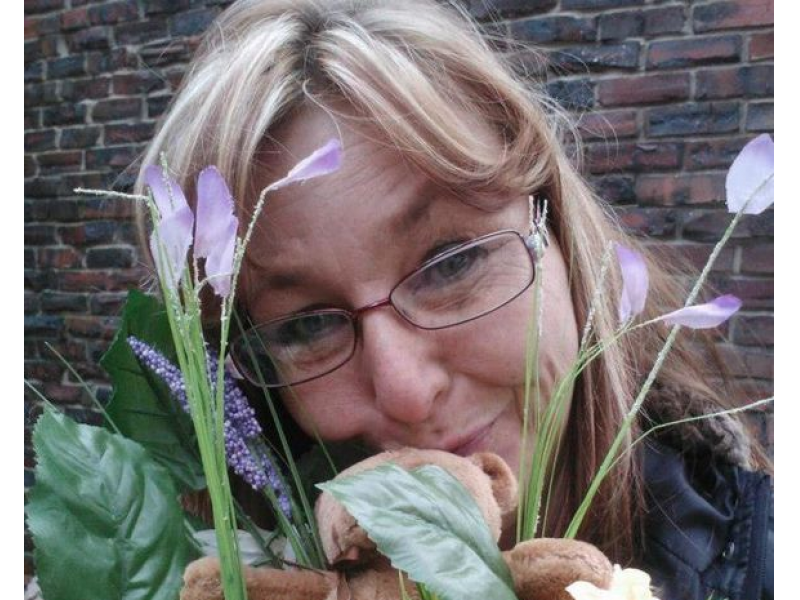 Wendy Lawrence, 45, of Canterbury, N.H., was struck by gunfire four times by a state trooper, officials with the state attorney general’s office said. Authorities determined the cause of death was a single gunshot to the chest. Authorities said a New Hampshire State Police trooper stopped a Chevrolet Monte Carlo that was being operated “erratically” on a southbound highway at roughly 6:30 p.m. Monday, according to a statement from Jeffery A. Strelzin, the senior assistant state attorney general. After the trooper asked to see Lawrence’s license, she showed him a non-driver’s ID. When the trooper took the ID back to his cruiser to check Lawrence’s record, he discovered she was a habitual offender and that her license was suspended, according to the statement. That’s when Lawrence suddenly took off in her vehicle, speeding southbound toward Concord, N.H., the statement said. After launching and then suspending a brief pursuit in his cruiser, the report said the the trooper then came upon Lawrence’s car idling sideways on an inter-state road. Lawrence then sped away, nearly striking a person who was on the highway. Multiple state police troopers aided in trying to apprehend Lawrence, following her to an interstate in Manchester, N.H. It was there that a trooper discharged his weapon, fatally wounding Lawrence. It was not immediately clear what exactly prompted the trooper to fire his gun. Officials are investigating the circumstances surrounding Lawrence’s death. She was later taken to Elliot Hospital in Manchester, where she was pronounced dead. An autopsy conducted by the state’s chief medical examiner found that Lawrence had been struck by gunfire four times. The family of Wendy Lawrence, a woman shot and killed by a New Hampshire state trooper in Manchester in 2013, has sued the trooper responsible for her death. State Trooper Chad Lavoie fired 11 bullets through Lawrence’s windshield on Sep. 30, 2013 after Lawrence, 45, took off at a traffic stop and led police on a chase for several miles. Four of the bullets hit Lawrence, including a fatal shot to her chest. Though Lavoie said Lawrence was driving toward him and the shots were in self defense, Lawrence’s family doesn’t believe the claim. The attorney general’s report on the incident stated Lawrence had purposely driven into a cruiser and then backed into another, prompting Lavoie to get out of his car. Lehmann questions this fact as well, saying footage taken from a trooper camera shows Lawrence’s car was stationary when cops caught up to her in Manchester. 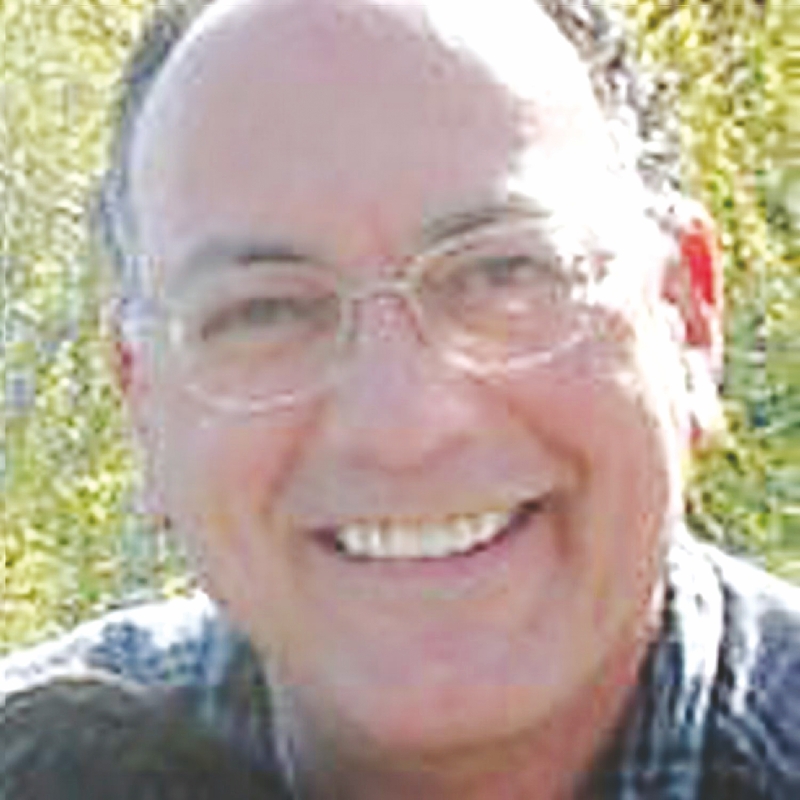 “Trooper Lavoie acted differently than the other state troopers. He came in, blocked her in, got out of his car and started shooting. We believe that was unnecessary,” Lehmann said to WMUR-TV. New Hampshire Attorney General Joseph A. Foster, New Hampshire State Police Colonel Robert L. Quinn, and Manchester Police Chief David J. Mara, announce that further information is available regarding an investigation into a fatal officer involved shooting incident, which occurred on September 30, 2013. At approximately 6:30 pm on Monday, September 30th, 2013, a New Hampshire State Police trooper stopped a Chevrolet Monte Carlo that was being driven erratically on I-89 southbound. The driver was Wendy M. Lawrence (age 45), of Canterbury, New Hampshire. Lawrence produced a non-driver’s ID and said she had a valid license. The trooper took Lawrence’s ID and went back to his cruiser to check on her license. He ran her record and confirmed that Lawrence was a Habitual Offender and that her license was under suspension. As the trooper was receiving those results, Lawrence suddenly drove off in her car speeding southbound toward Concord. The trooper briefly pursued Lawrence and then broke off his pursuit. The trooper later came upon Lawrence’s car at the end of I-89 where he saw that the car was sideways in the road. As Lawrence drove away, she almost hit a person who was on the highway. Lawrence proceeded onto the I-93 southbound ramp and drove off at a high rate of speed down I-93. Several State Police troopers assisted in trying to apprehend Lawrence and were behind her as she turned off I-93 into Manchester. Troopers in marked police cruisers followed Lawrence to the intersection of Dave Street and Kennard Road in Manchester, where the police attempted to stop Lawrence. It was at that location where a trooper discharged his firearm and fatally wounded Lawrence. She was later transported to the Elliot Hospital in Manchester where she was later pronounced dead. The circumstances that led to Lawrence being shot are currently under investigation by the New Hampshire Attorney General’s Office, the New Hampshire State Police, and the Manchester Police Department. The State’s Chief Medical Examiner, Dr. Thomas A. Andrew, conducted an autopsy on Wendy Lawrence today and determined that she had been struck by gunfire four times. Her cause of death was a single gunshot wound to the chest. Her manner of death was homicide, meaning that her death was caused by another person. This entry was posted in Dead, New Hampshire, Shot by Police, Woman on September 30, 2013 by usgunviolence. CONCORD, N.H. — A tired police officer, poor planning and a series of bad decisions converged eight months ago to turn an attempted drug bust in Weare into a chaotic fatal shooting, the state attorney general said. Attorney General Joseph Foster ultimately opted not to prosecute Weare police officer Nicholas Nadeau for the death of Alex Cora DeJesus, a decision made against a backdrop of laws and precedents that are weighted heavily in favor of an officer’s split-second judgment. Even if an officer’s perception is mistaken, he is spared legal consequences if he reasonably believed there was a threat to the officer or others. But Foster’s report, issued this week, was highly critical of what he called an “ill-conceived” plan to snare a suspected drug dealer and the “rash and poorly-planned response” that led to DeJesus’ death the night of Aug. 14. According to Foster’s report, police learned of DeJesus from a confidential informant who agreed to set him up in exchange for a reduced sentence on drug and DWI charges. Using two other informants, DeJesus was lured to a parking lot to sell $600 worth of heroin. At the time he drove from Manchester to Weare, one informant told police DeJesus had been using heroin and cocaine. Five officers — including Sgt. Joseph Kelley, Nadeau and Officer Kenneth Cox — spread out in unmarked cruisers around the parking lot. The 35-year-old DeJesus pulled in with his girlfriend in the passenger seat and parked. After the two informants met with him and walked away, three cruisers — blue lights flashing — and several officers with guns drawn approached. DeJesus backed out and started to speed away when Cox fired two shots. Both bullets hit the car but missed DeJesus. Nadeau fired his shotgun, hitting DeJesus in the temple. The car kept going until it drifted off the road into a grove of trees a hundred yards away. “There was no indication that DeJesus was armed or likely to be armed at the time of the incident,” Foster wrote. He also noted that evidence disputed Nadeau’s contention that he thought the speeding car was going to hit him or Kelley. On August 14th, 2013, a second staged drug transaction was orchestrated by the Weare police, through the use of multiple informants. After 10:00 p.m., DeJesus was lured to a Dunkin Donuts parking lot, according to the investigation, to meet the informants and to perform a transaction worth $600. 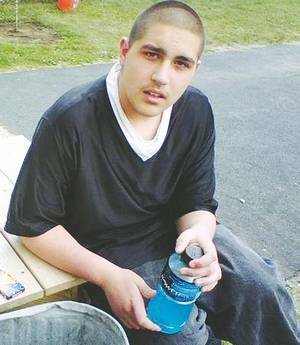 WEARE, N.H. —The town of Weare will pay $300,000 to the family of a 35-year-old man killed last year by a police officer during a drug sting that was sharply criticized by the state’s attorney general. The Concord Monitor reports a settlement agreement was signed June 10. The town’s insurance company has given the payment to Alex Cora DeJesus’ estate. This entry was posted in Dead, Man, New Hampshire, Shot by Police on August 14, 2013 by usgunviolence. MANCHESTER, N.H. — A New Hampshire man used a handgun to shoot his 9-year-old son to death before taking his own life during supervised visitation at a YWCA office in the state’s largest city, officials said Sunday. An adult supervisor was present when Muni Savyon, 54, of Manchester, produced a handgun and shot 9-year-old Joshua Savyon of Amherst before shooting himself, the attorney general’s office said. Reports of gunfire shortly after 10 a.m. brought a heavy response from police officers who set up a perimeter. The father, who was depressed after returning from his brother’s funeral in Israel, sent an email to a friend suggesting he was suicidal before the shootings, said Rabbi Levi Krinsky of Chabad Lubavitch in Manchester. Krinsky said he’d seen the man last week and had no concerns about his well-being. This entry was posted in Dead, Domestic Violence, Man, Multiple Shooting, Murder-Suicide, New Hampshire, Suicide on August 11, 2013 by usgunviolence.